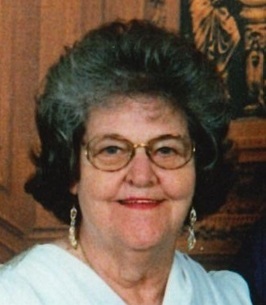 Mary Lou (Hunter) Schlangen, 79, of Mooresville, went to be with the Lord on August 21, 2018. She was born to Harry R. and Virginia C. (Zerfass) Hunter on November 12, 1938 in Lafayette. She graduated from Ben Davis High School in 1956. She was a devoted wife of Jerrold G. Schlangen for 49 years, marrying on November 1, 1958. Mary Lou was a loving mother to four children, Jerrold Schlangen Jr. of Florida, Catherine (Chuck) Tooley of Mooresville, David Schlangen of Mooresville and Steven Schlangen of Mooresville; seven loving grandchildren; five great-grandchildren; and a brother, Charles Hunter of CA. She is preceded in death by her parents and her husband. Mary Lou was a Nurse for Mariner Health of Bellair in Clearwater, FL, a Bus Driver for Mooresville Schools for 11 years, retiring in 1985 and also owned and operated J & M Guard and Security, Inc. for five years. She was a member of St. Thomas More Catholic Church. She lived in Mooresville for most of her life and Largo, FL from 1986-2007. Her greatest joy was being a devoted wife, mother, and grandmother. Family and friends may show their love and support from 4-8 p.m. on Thursday, August 23rd and 8:30-9:30 a.m. on Friday, August 24th at Jones Family Mortuary in Mooresville. There will be a 9:30 a.m. Prayer Service Friday morning at the funeral home before heading over to St. Thomas More Catholic Church, 1200 N. Indiana St. in Mooresville. Father Rick Eldred and Father Francis Joseph will officiate Mary Lou's celebration of life funeral mass at 10 a.m. at the church. Mary Lou will be laid to rest at Forest Lawn Memory Gardens in Greenwood. Please consider donating in Mary Lou's memory to: American Cancer Society, 5635 W. 96th St., Suite 100, Indianapolis, IN 46278. 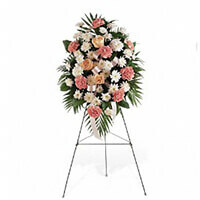 To send flowers to the family of Mary Lou Schlangen (Hunter), please visit our Heartfelt Sympathies Store. Jones Family Mortuary with a Prayer Service to start at 9:30 a.m.
Our deepest condolences during this difficult time. Our prayers and thoughts are with you. What a great lady! Always have enough food for whoever showed up or was around and always had the coffee pot on. She touched so many lives through her work and the way she lived her life. But the real proof lives on through her children who exemplify all the love that she shared. So sorry to hear of your loss. I have many good memories of your family. I will keep you r mom and you in my prayers.